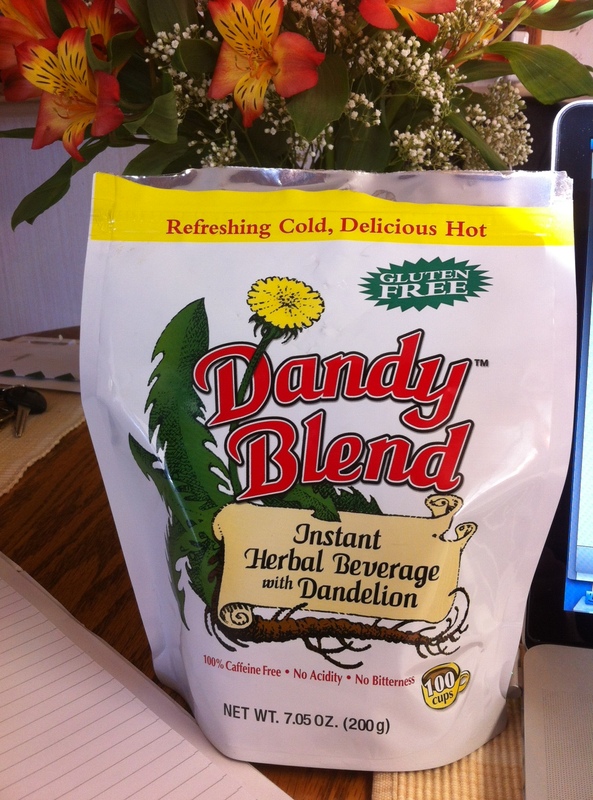 Dandelions & The Dandy Blend Coffee Substitute – That's Natural! My dear friend and reflexologist, Wendie Stauffer, introduced me to this very delicious and very healthful alternative to coffee. Now, my best of friends know that a sane Tisha Casida could never completely give up chocolate-covered coffee beans; but there are plenty of days that staying away from caffeine is better for business. Dandelions are full of healthy properties – you can use every part of the plant. The root of the dandelion (what is in Dandy Blend) is good for your liver, your blood, and your overall digestive health. It also has Vitamins A, C, D, and B-Complex, which are an essential part of anyone’s daily diet. 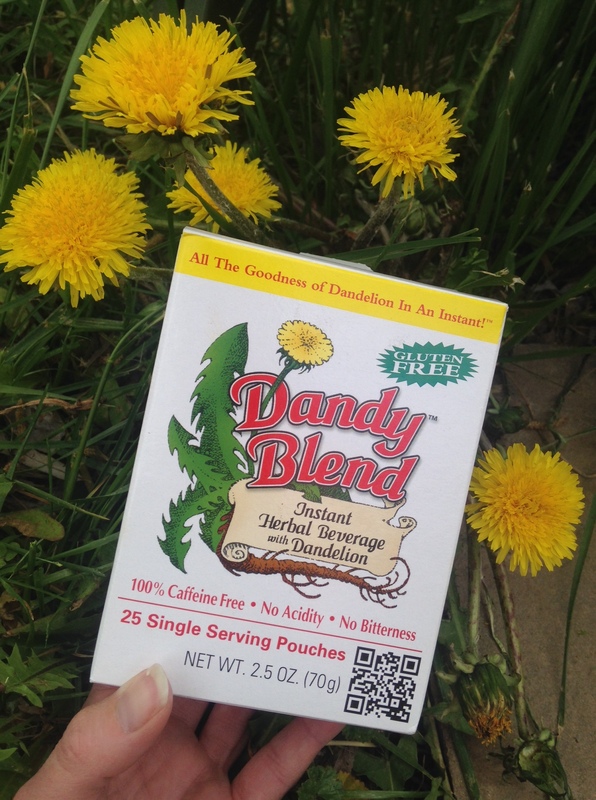 The Dandy Blend, available online and at various health food stores (as well as from Wendie, if you are in Pueblo County) has extracts of roasted barley, chicory root, dandelion root, and beetroot. It is instant – you just mix a teaspoon or so (depending on your desired ‘strength’) in hot or cold water – for an instance beverage that has the undertones of coffee, but with absolutely zero caffeine. With a dollop of cream (preferably from grass-fed cows like at Parker Pastures), it is quite tasty. And a lot better for you than sitting down to a cup of coffee at 4:00PM – arguably better – we all have our different modus operandi. You should at least give it a taste, because it is quite amazing that the root of that little flower could do so many good things. PS: As an update, these are also available in these handy single-serving sized packets!